Other than Hindus, Jains and Sikhs also celebrate Diwali in a grand manner for their own reason. Lets look into the Jain way of diwali today. Diwali has a very special significance in Jainism. It is said to be the day when Lord Mahavira, the last of the Jain Tirthankaras, attained Nirvana or Moksha. The Jain year commences with pratipada subsequent to Diwali. Hence Jain businessmen conventionally launch their accounting year from Diwali. The way Jains celebrate Diwali is different in many respects. There is a note of asceticism in whatever the Jains do, and the celebration of Diwali is not an exception. They celebrate Diwali during the month of Kartik for three days. During this period, devoted Jains observe fasting and chant the Uttaradhyayan Sutra, which contains the final pravachans of Lord Mahavira, and meditate upon him. Some Jains visit Pavapuri in Bihar where he attained Nirvan. Soak cashews in water for 15 mins and grind it into smooth paste by adding some water to it. Take the paste, rice flour, chilly powder and salt in a bowl and mix well. Slightly heat the ghee and add it to the mixture and mix well. 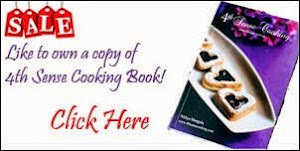 Now add water little by little and mix until it forms into a dough. Heat oil in a wok. Now fill the dough in the muruku maker and squeeze it directly in the oil and fry till it becomes crisp. 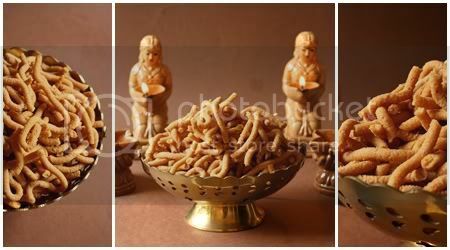 Maintain moderate flame throughout the process to get evenly cooked murukku. You can skip using chilly powder and make it as classic salt murukku. 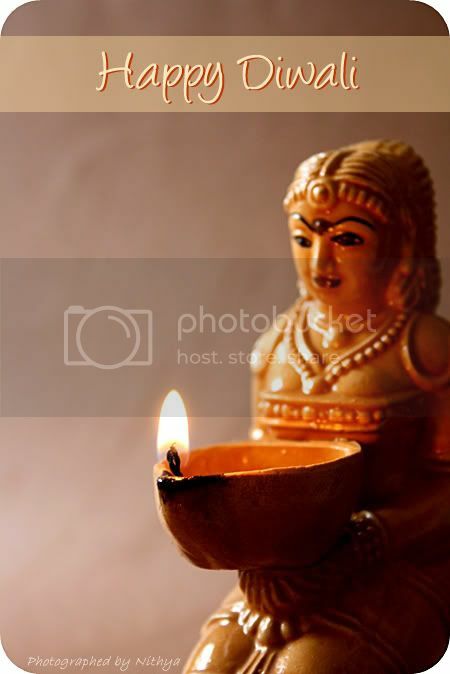 Am loving the diff diyas u r presenting daily...Lovey presentation. 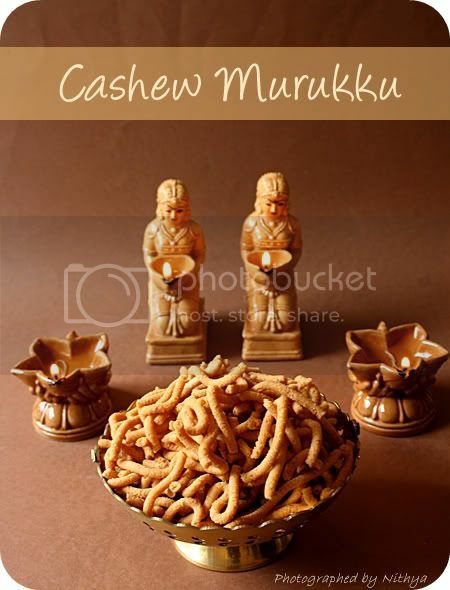 Cashew in murukku sounds yum, looks very appealing! 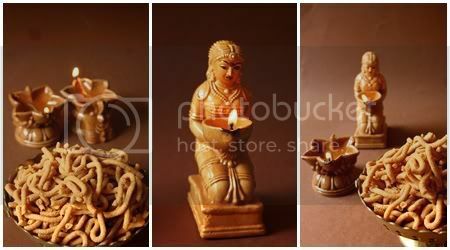 rich girl .. this is yet another richy murukku ... love the pics ..
new recipe n crispy murukku..happy deepavali!! A very Happy Diwali to u n ur family . 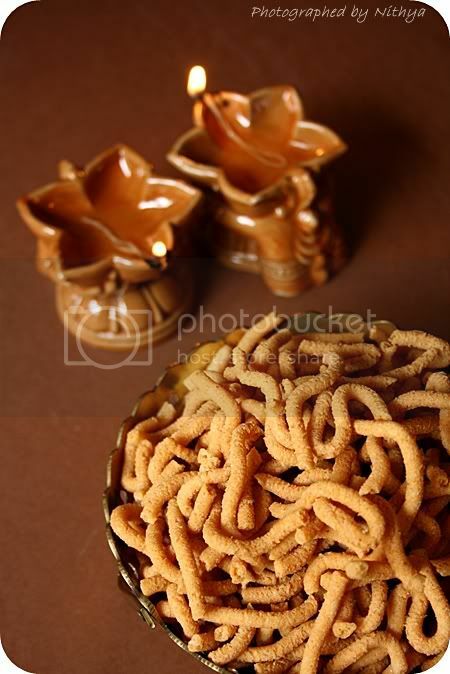 The murukku looks so tempting ... love the small murukku cracker too . Nice one nithi ..Will try it out soon once all my snacks are done. Nice idea and the murukku looks tempting as well. Pictures are beautiful. Nice and perfect treat for Diwali. 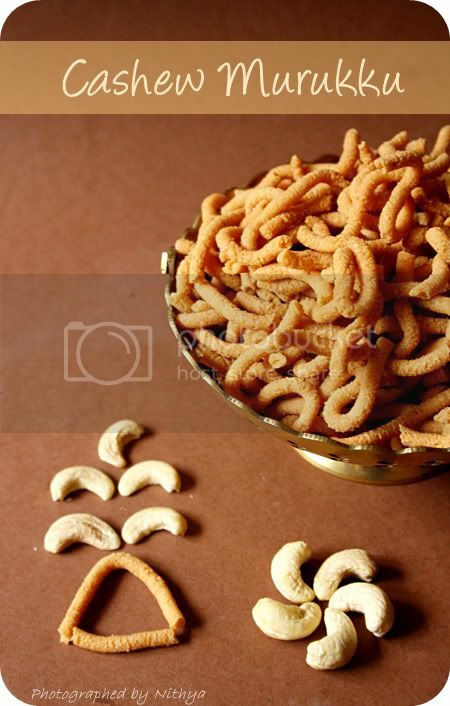 murukku with cashews is really new to me.. Looks delicious.. Very new murukku for me..rich murukkus looks super crispy..
rich muruku :) Keep Posting !!! Using Kaspersky protection for a few years now, and I'd recommend this product to all you.